Save energy and save money with a new tankless water heater that delivers hot water only when you need it. Instead of spending money on gas or electricity to keep gallons of water hot when you don’t need it, on demand water heaters heat the right amount of water at the right time… only when you are using it. 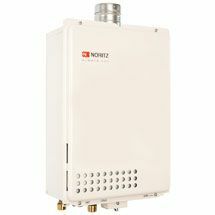 We carry the very best gas tankless water heaters and electric tankless water heaters that are proven and reliable. We offer affordable financing plans on all new tankless water heater installations. Available now! Whether you need a gas tankless water heater or an electric tankless water heater, Bonney plumbers are experts at installing these energy saving, on demand water heaters. Maybe you have finally decided to replace the old traditional storage tank water heater or replace an earlier model tankless water heater. Bonney technicians are experts at replacing your current water heater with a new state-of-the-art gas or electric tankless hot water heater. We install all brands including top brands Noritz and Rinnai. Bonney can repair all brands of on demand hot water heaters including Navien, Rheem, Takagi, Bosch, Poloma, Aqua Star and many more. If your tankless water heater is acting up, call Bonney for quick and affordable repairs. Even more than standard water heaters, tankless water heaters require annual service. It is imperative to flush the heat exchanger with the proper solution to ensure proper operation and longevity. 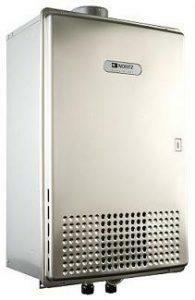 Call Bonney to schedule your tankless water heater maintenance today at 800-444-0551800-444-0551!